I recently had the pleasure of shooting yet another Firecracker 4800 in beautiful Raton, New Mexico. If I recall correctly, this is the sixth year that I’ve shot this particular match, and it’s become one of the highlights of my calendar. 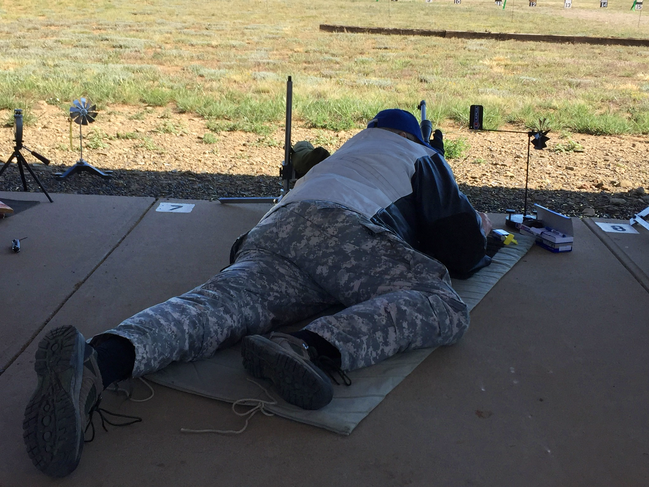 This is an annual Smallbore Prone match put on by Lones Wigger, and is usually attended by a pretty tough crowd. 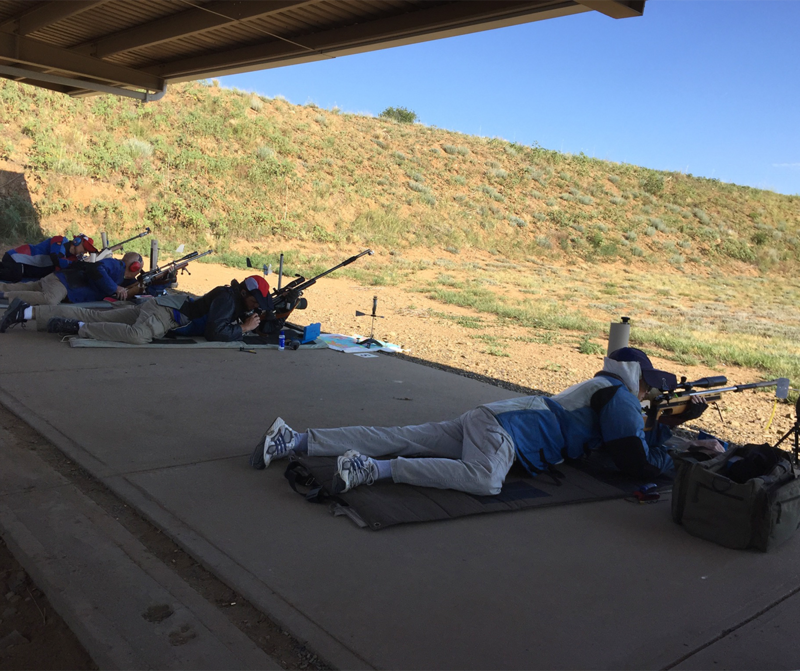 At most, a casual glance up and down the line will reveal several Olympians (most notably, Lones himself), a number of National and International champions, as well as some of the elite of the military smallbore teams. 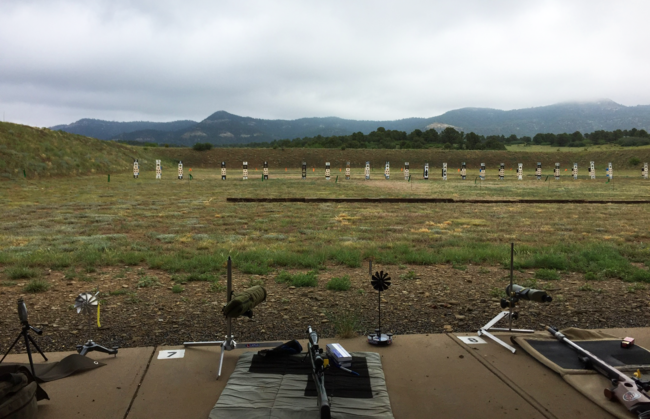 Something of a gathering of eagles within the smallbore community. Attendance was down a bit this year due to some scheduling conflicts, which will, hopefully, be rectified next year. Still, we had a full relay of some 35 shooters vying for the win, and some remarkably impressive scores were shot. The match itself is a typical smallbore prone format, with the exception that Lones has chosen to omit the 50-yd stage. This reduces the match aggregate to 4800, rather than the usual 6400 points for prone matches of this sort. Lones logic for this is that with the level of shooters that show up for this match, virtually all of the top contenders will shoot perfect 400s on the 50-yard stage. 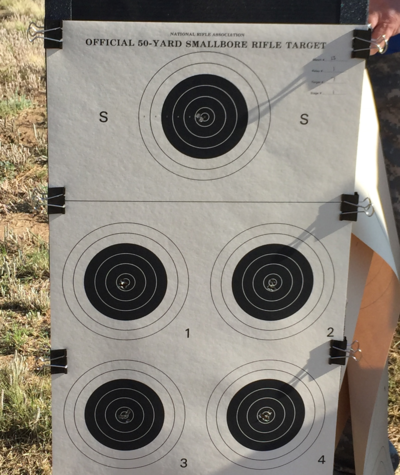 This means that it essentially has no bearing on the outcome of the match, and dropping that stage reduces the amount of time shooters spend on the range each day. Given the beauty of the surroundings in Raton, and they myriad things to do in the area, this leaves time for a bit of afternoon exploring which is always a welcome attraction. Definitely no shortage of things to see and do in this magnificent part of the country. This year’s match proved to be fairly normal in terms of Raton weather. Warm, but not uncomfortably so, an afternoon thunderstorm each day, sometimes catching us, sometimes just providing a backdrop in the distance. Relatively mild winds this year aided in some impressive scores being shot, though there were a couple days when things became, uh, dicey. Especially news in the 100-yard portions of the match. At times, I found myself using some pretty adventurous hold-offs, but still managed to keep them pretty well in the middle. Keeps the match interesting, and the shooters on our toes. Lapua was well represented by shooters at this particular match. In my own case, I was using a McMillan stocked Remington 40-X, with a selected lot of Midas + that had been chosen at Lapua’s Service Center in Mesa, Arizona last year. The scores stayed pretty tight throughout the week, with the leaders trading spots here and there by a mere point or two (at most), making it a down to the wire game. Ultimately, the match was won by Glenn Dubis, with Steve Goff taking second and Ron Wigger finishing up in a close third. In addition to the awards, Lones puts on a BBQ for the shooters every year that has become quite the social gathering. Besides getting to know your fellow shooters on a more personal basis, it’s also a wonderful place to hear shooters stories, with topics ranging from small local matches where interesting or comical things have happened, to the most intense levels of National and International competition. Wigger’s time in the game yields an apparently endless supply of fascinating stories of Olympic champions, unique personalities, tough competitions and valuable shooting lessons. It’s one of the highlights in an otherwise delightful week. So . . . if your available over the Fourth of July week, put this one on your calendar. I promise you, you won’t be disappointed. See you on the line!